Staybridge Suites Cairo Citystars announced today that it has been recognized as a TripAdvisor® Certificate of Excellence Hall of Fame winner. The Certificate of Excellence award celebrates excellence in hospitality and is given only to establishments that consistently achieve great traveller reviews on TripAdvisor. The ‘Hall of Fame’ was created to honour those businesses that have earned a Certificate of Excellence for five consecutive years. Winners include accommodations, eateries and attractions located all over the world that have continually delivered a superior customer experience. The award was sent on behalf of TripAdvisor® which is the world’s largest travel site, enabling travelers to plan and book the perfect trip. TripAdvisor offers trusted advice from travelers and a wide variety of travel choices and planning features with seamless links to booking tools that check hundreds of websites to find the best hotel prices. TripAdvisor branded sites make up the largest travel community in the world, reaching 340 million unique monthly visitors, and more than 225 million reviews and opinions covering more than 4.9 million accommodations, restaurants and attractions. 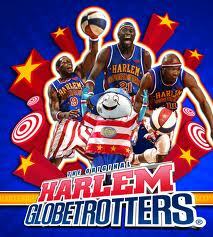 The sites operate in 45 countries worldwide. TripAdvisor also includes TripAdvisor for Business, a dedicated division that provides the tourism industry access to millions of monthly TripAdvisor visitors. The website is based solely on travelers’ reviews and so it is guests who voted for the hotel and chose Staybridge Suites Cairo Citystars as one of their favorite destination hotels that truly validate a personalized service making the award even more valued. Those who like to celebrate Ramadan in style, Sheraton Montazah Hotel in Alexandria, Egypt offers a variety of outlets where guests can enjoy their Iftar and sohour in luxury. For Iftar, guests can break their fast with family and friends at the “Café Coquillage” with its daily sumptuous Iftar buffet and that features an array of different traditional oriental dishes and sweets while watching their favorite TV Shows. Guests can also bring friends and share quality time at “La Terrace Outdoor Café” or try the hotel’s wide selection of oriental desserts at the Café Rendez vous. 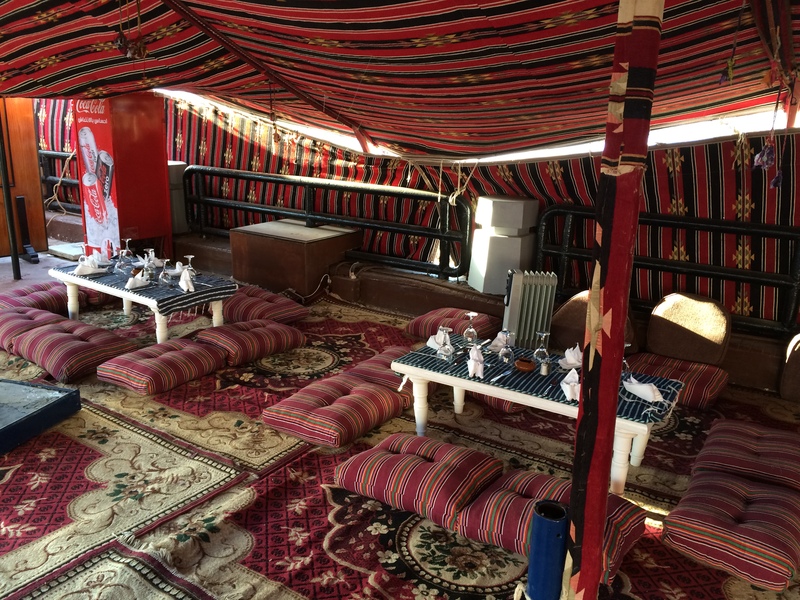 For Ramadan nights’ fans, the “Bedouin Tent” at Beach Café, overlooking the Mediterranean seashore, is the place. In this exotic Mediterranean atmosphere, guests will enjoy a mouthwatering sohour meal and Ramadan traditional drinks in addition to their choice of flavored shisha along with the oriental tunes of takht sharky and live songs. Atef Wilson, general manager of Sheraton Montazah Hotel, calls visitors of the Mediterranean city to be the hotel’s guests and discover a memorable Ramadan experience in Alexandria. “We offer great room deals in the holy month of Ramadan, in addition to a variety of dining options, authentic festive cuisine prepared by our highly-skilled chefs, oriental entertainment together with the ultimate Alexandrian hospitality and smiling faces of our associates,” he said. As the Valentine’s Day is approaching, Sheraton Montazah Hotel Alexandria, is preparing an exquisite program for their guests for the occasion. For LE180, guests can enjoy the finest romantic dinner with live music at La Mamma Restaurant or join a spectacular party at the Caesar Bar featuring Duo Ehab and Reem and belly dancer. Whether they like to eat, dance and enjoy a great dining experience or they prefer to stay overnight, they can avail the attractive hotel special offerings for this festive occasion for only L.E 600 for single, 650 for double room including service charge, taxes and buffet breakfast. “We promise our customers a peaceful, comfortable stay with their beloved ones in Valentine and a real romantic evening and celebration that they will never forget” said Azza El Desouki, director of public relations at the hotel. 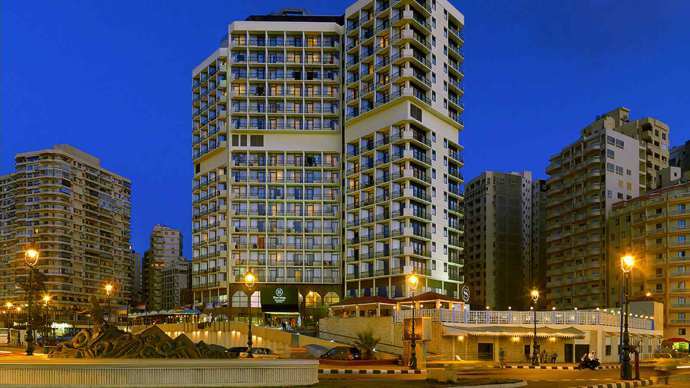 The Sheraton Montazah Hotel is ideally located in Alexandria with its magnificent beaches, archaeological and cultural attractions. 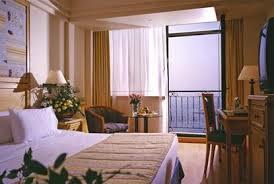 The hotel is located 15 Km from Nozha airport and 220 Km from Cairo. 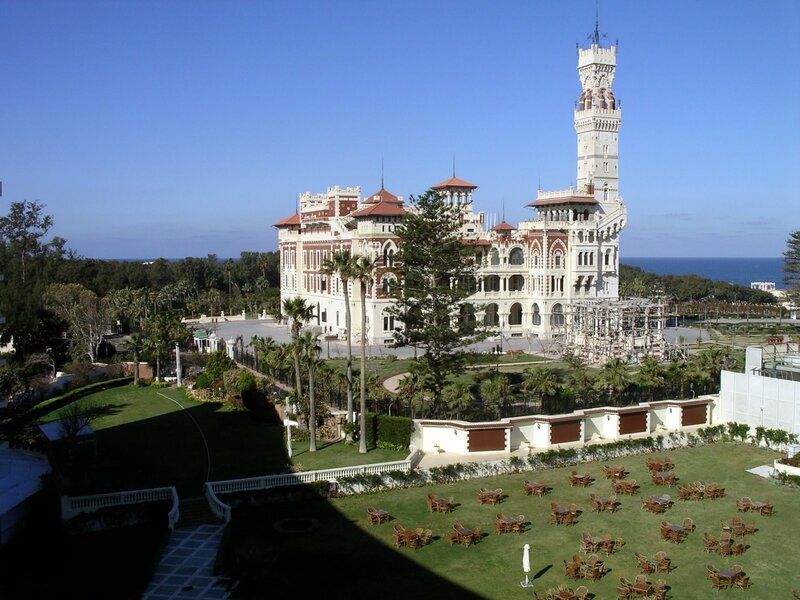 It overlooks King’s Farouk Palace and gardens on one side and the bright blue waters of the Mediterranean Sea on the other. It’s your perfect getaway to relax and feel at home. Guests can enjoy amazing views of the Mediterranean and the Montazah Park in a brightly decorated guest room. They may gather with friends or family for a delicious meal in one of the restaurants .They may also head to our outdoor pool overlooking the sea or just relax by our private sandy beach under the warm sun. On June 30, millions of Egyptians flooded the streets in most Egypt’s governorates, demonstrating against Mohamed Morsi to free their country from the rule of a terrorist regime. You can call it a “NATION COUP” Viva Egypt! Egypt’s Minister of Tourism Hisham Zaazou recently inaugurated Semiramis Pavilion meeting centre that he toured while announcing plans to promote tourism in the coming months as well as the initiative of the green energy in tourism and hotels sector. 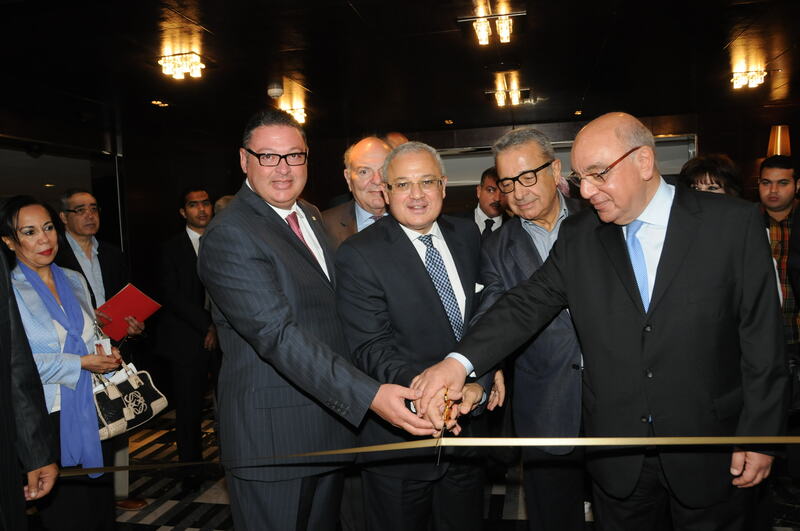 The cutting ribbon inauguration ceremony was attended by Ahmed El Gindi, managing director, Semiramis Hotels Company, Raymond Khalife, board member, Semiramis Hotels Co. Amr Fouad, board member, Semiramis Hotels Co. and Sameh Sobhy, general manager Semiramis InterContinental Cairo. Photo shows from right to left: Ahmed El Gindi, managing director, Semiramis Hotels Company; Raymond Khalife, board member, Semiramis Hotels Co.; Egypt’s Minister for Tourism Hisham Zaazou; Amr Fouad, board member; Semiramis Hotels Co. and Sameh Sobhy, general manager Semiramis InterContinental Cairo. Designed by Tony Chi, the Semiramis Pavilion combines efficiency and luxury for business clients in an uncluttered and modern environment. The Semiramis Pavilion features smart interactive whiteboards, high-speed 30MB Wi-Fi and seven multi-functional and flexible meeting rooms as well as four private offices. 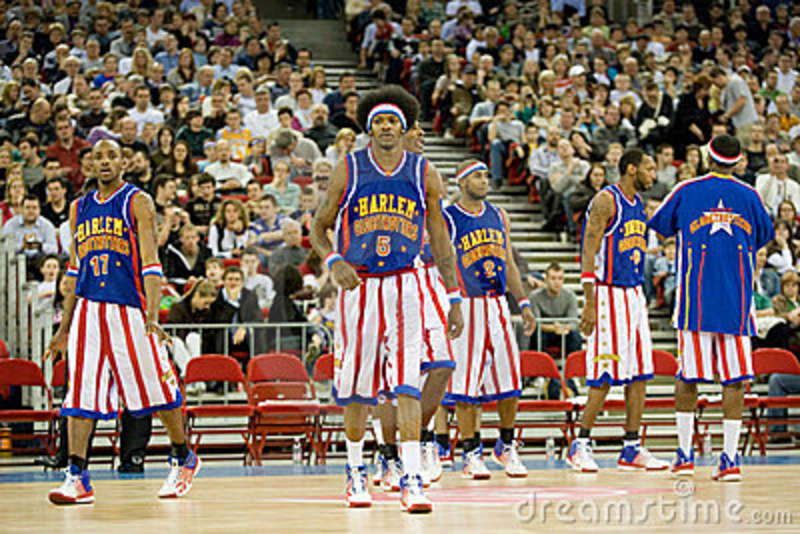 “We are looking forward to a busy summer period ahead. We just received the ‘Global Partners in Safety Award’ and we are being recognized among other hotels as being a safe place for our employees to work and our guests to stay. 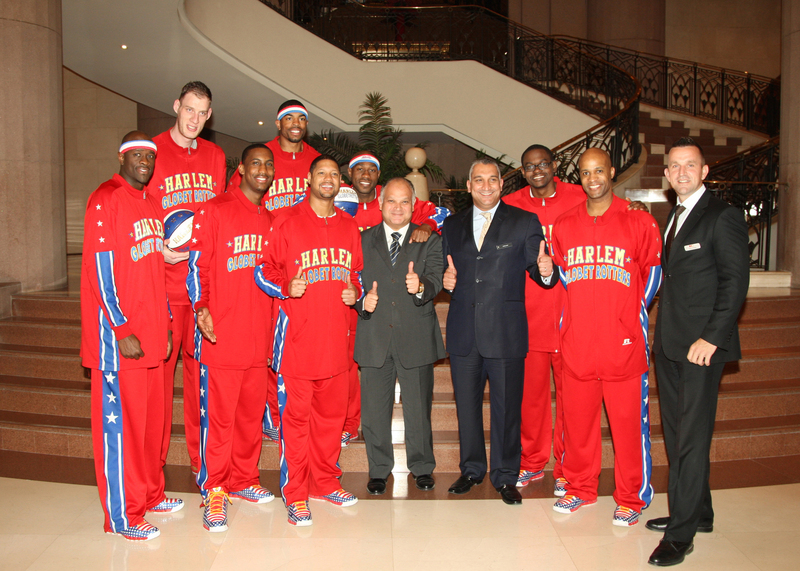 With such an amazing team we are sure the hotel will continue to thrive,” said Sobhy. 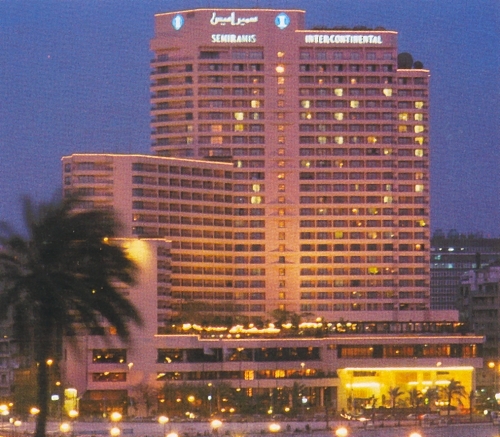 InterContinental Hotels Group PLC (IHG) has been present in Egypt for more than 25 years. IHG operates hotels across four of its brands – InterContinental, Crowne Plaza, Holiday Inn and Staybridge Suites – and remains absolutely committed to this market. Montazah in Alexandria, is distinguished from other tourist sites in Egypt in that it is a place where the past and present intermingle. For the history buff it is a pleasure to roam around the vast estate where, before the July 23 Revolution, the royal family had their summer quarters and where the palace and the Salamlek (annex) can be seen. 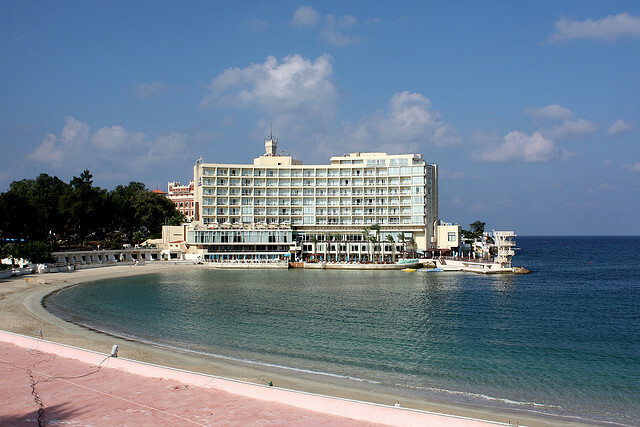 For those in search of the beautiful beaches, Montazah has facilities for rest and recreation. 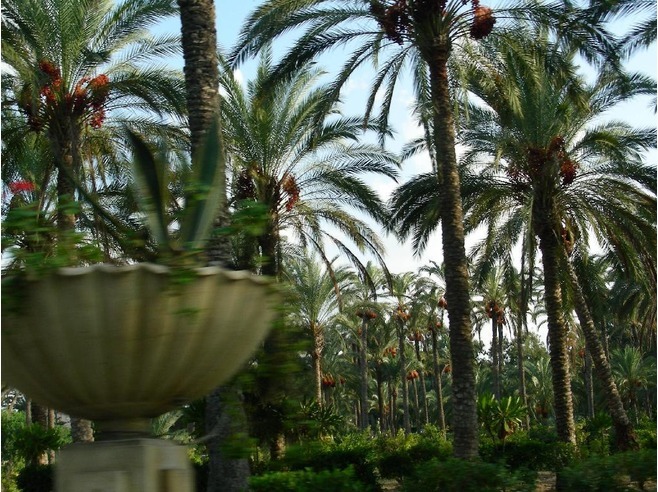 It has, in addition, magnificent gardens with royal palms that date, most appropriately, from the royal era. 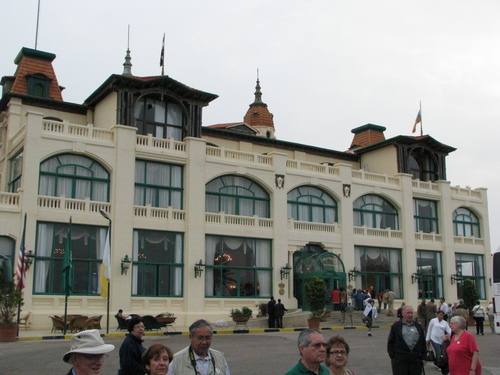 The site, situated west of Alexandria, was developed over a century ago, in 1892, in the time of Khedive Abbas Helmi II, who built the Salamlek, which today faces the Palestine Hotel. The summer residence of the royal family is situated on an elevated mound overlooking a beautiful bay and beach, and the vast garden covers an area of 370 feddans. When king Fouad came to the throne he built a bridge to join the palace to the Island of Dreams, which sounds somewhat romantic but was, in fact, a fairy-tale site covering about 13 feddans and with exotic plants, Byzantine style status and aquaria adorning various parts of the undulating land. There is also a delightful “kiosk” where the king and his friends used to enjoy their afternoon tea. Later still, when king Farouk acceded to the throne, he built the famous clock of Montazah; whenever the clock strikes, a soldier appears from each of its four sides. 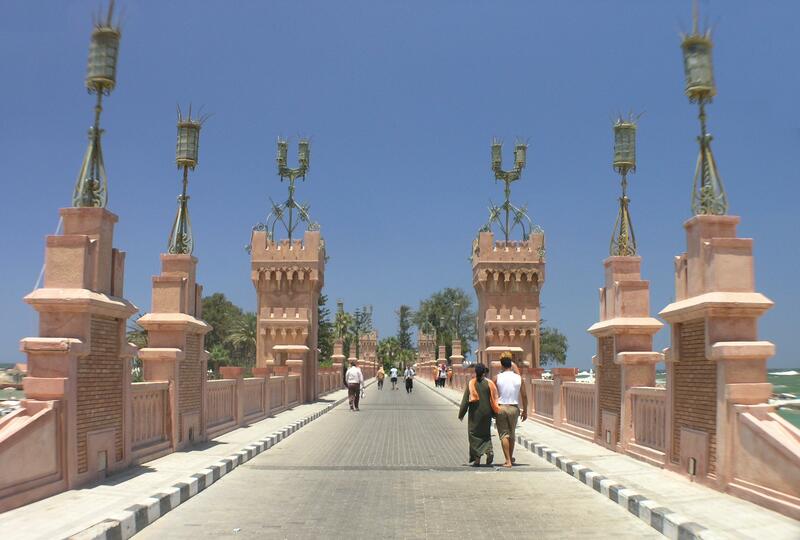 After the July 23 Revolution, Montazah was opened to the public, and visitors were permitted to enter various parts including the island, the bridge, the kiosk and the gardens. The Salamlek and the palace are not open for visiting. About two million visitors visit Montazah every year. It is open all the year round and operates 24 hours a day and caters for all visitors requirements. It has various shops, restaurants, coffee shops and bazaars to cater for the visitors. Not to be missed is the plant nursery and greenhouse: many tourist groups come to Montazah for the sole purpose of visiting them. The greenhouse has exotic plants that have thrived from the rule of King Fouad. It supplies all the plants needed in the gardens, and there is a surplus for sale. 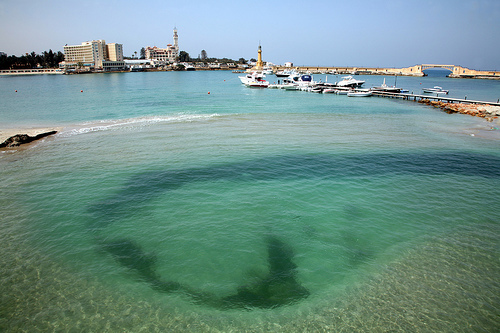 Summer is here, the beaches are packed with holiday makers and Montazah is enjoying a bumper season. 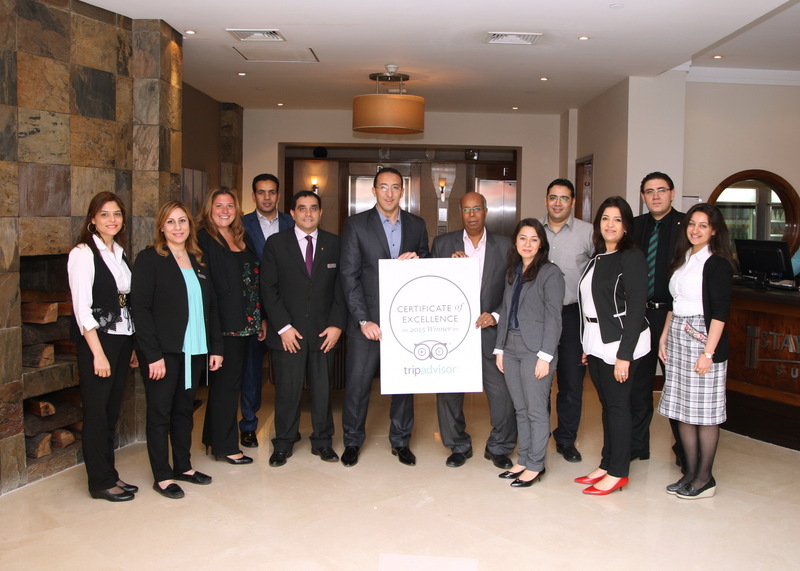 Holiday Inn Cairo Citystars has been awarded TripAdvisor Certificate of Excellence for the Year 2013. The award was sent on behalf of the TripAdvisor community, one of the fastest growing travel community websites for travelers all around the world with around 200 million unique monthly visitors worldwide and over 100 million reviews and opinions on restaurants, hotels, resorts, vacation rentals and flights. To qualify for a Certificate of Excellence, the hotel must maintain an overall rating of four or higher, out of a possible five, as reviewed by travelers on TripAdvisor, and must have been listed on TripAdvisor for at least 12 months. Additional criteria include the volume of reviews received within the last 12 months. 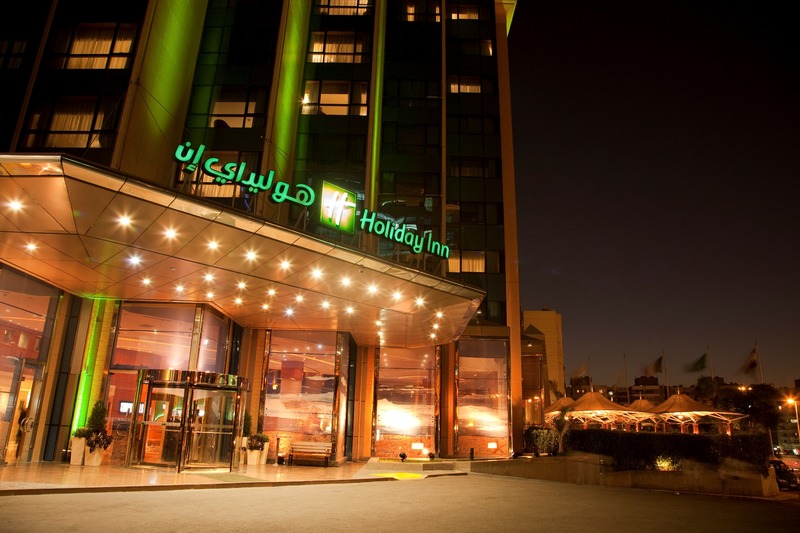 The website is based solely on travelers’ reviews and who voted for the hotel and chose Holiday Inn Cairo Citystars as one of their favorite destination hotels, making the award even more valued.